Flaunt your extensive book collection by displaying the same with wooden bookshelf for sweet pleasure. Declutter your space with stylish wooden shoe racks. Be the perfect host with cocktails straight from your elegant bar unit. 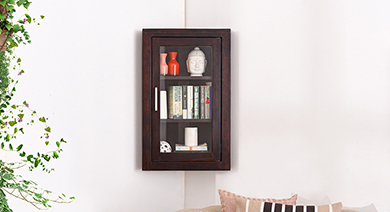 With carefully crafted details, adorn your study with sturdy multi-shelved bookcases. Folding book shelf with a slatted frame occupies less storage space. 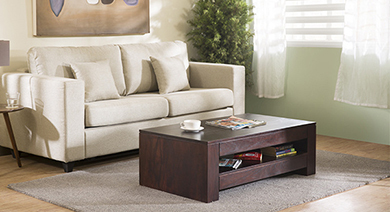 Removable shelves let you configure the interiors as per your requirement. Vertical and horizontal display cases boast of spacious shelving units and columns that suit your cosy dining area or living room furniture. Ideal as a room divider or decorative display, its open back gives a 360 degree access to books, figurines or antiques. 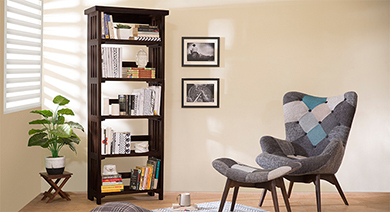 Bookworm or not, indulge in urbane wall-to-wall library or mix family photos with books in chic wall shelf. 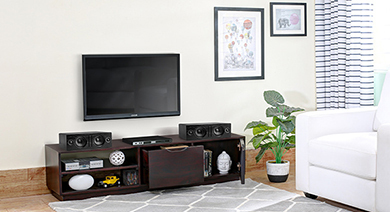 Buy practical yet fashionable wooden bookshelfwith functionality and modern design from Urban Ladder for the perfect home. Constructed in superior sheesham or mango wood, wall shelf comes in rich, luxurious mahogany, teak, wenge, pine, and walnut finish. Reorganise your footwear with contemporary wooden shoe racks that blends into any decor. Designed with slatted sleeves, these racks can easily accommodate heaps of shoes. 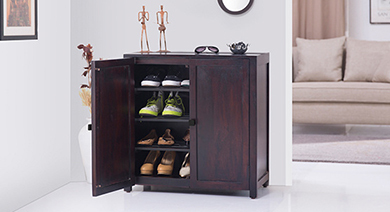 Spacious storage lets you tidy up your space in structured yet stylish manner. With seamless roll-out mechanism and slats at the back, these keep your shoes well aired. From closed cabinets to open shelves, these shoe racks liven up your hallways, entryways, or even balconies. 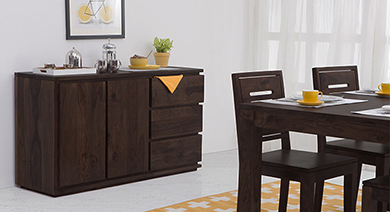 Constructed using quality wood, these cabinets add a classy touch to your decor. Entertain your guests with lip-smacking drinks straight from an elegant bar unit. Let them be curious with revolving bar unit featured with sliding shelves for effortless reach. Its shelving area doubles up counter space and is great for mixing cocktails and flaunting bar accessories. While its smooth bearings allow revolving bar and stash extra glasses in open side shelves. Featured with utility drawer, hanging stemware racks, and adjustable legs, smart bar units surely boost your living space. Durable material in plush finish and colours ensures optimum functionality and style. Buy practical yet fashionable wooden bookshelves in eye-catching designs from Urban Ladder for the perfect home decor. surely boost your living space. Durable material in plush finish and colours ensures optimum functionality and style. Buy practical yet fashionable wooden book shelves in eye-catching designs from Urban Ladder for the perfect home decor.